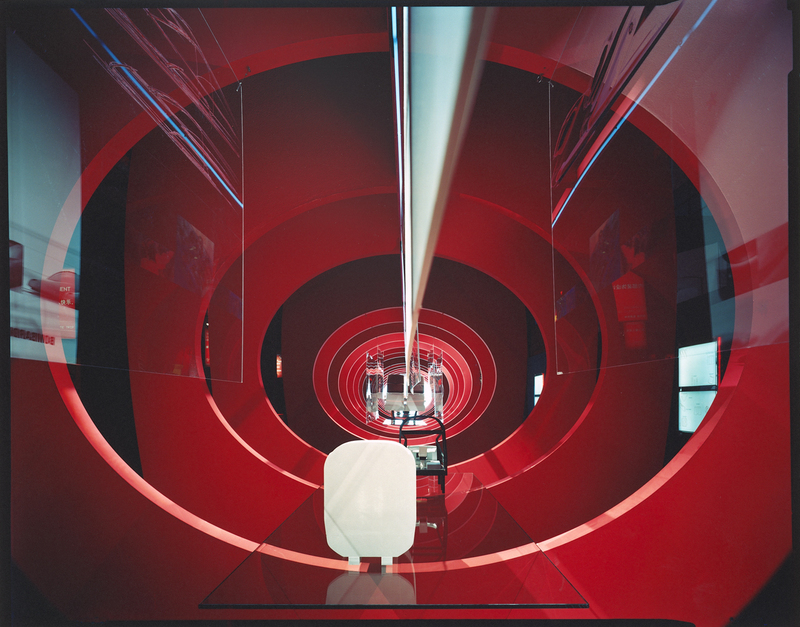 For the event organized by the British magazine Wallpaper* to present the new high speed Bombardier train connecting Shanghai to Beijing, the exhibition offers a real reproduction of the train head to tell, right inside it, the story about how the journey will be changing in the future. 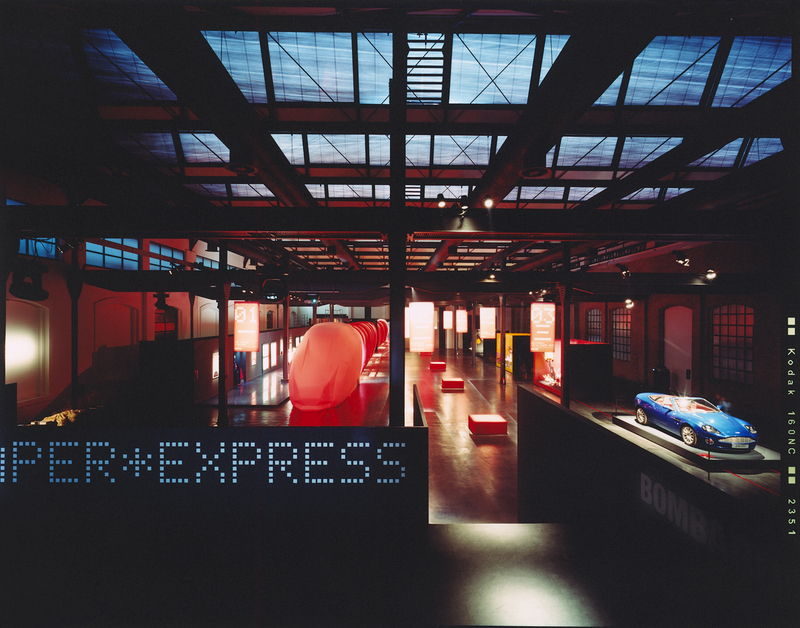 The train profile, with its brilliant red-orange color, emerges strongly in the darkened space of the ex-Riva factories. By isolating different sections and elements of the train body, the theme is developed as a dynamic, visual and sensorial, narration combining lights, materials, real products and projections by creating different moments of knowledge, in-depth analysis and splendour.